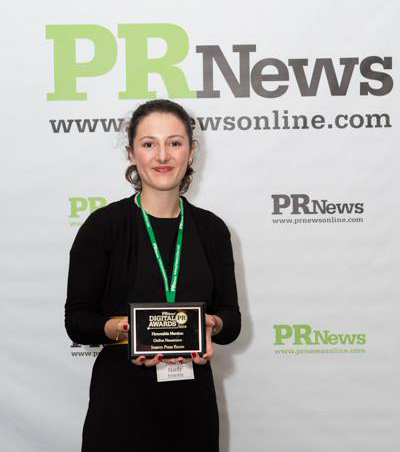 At a ceremony in New York, held on 10 October 2014, Inserm received one the four honorable mentions of the ‘Digital PR award’ for its bilingual online press room, presse.inserm.fr, in the best ‘Online Newsroom’ category. PR News’ Digital PR Awards is the industry’s top honor in the PR and communications digital space, recognizing outstanding digital initiatives among corporations, agencies and nonprofits. The winners of the Digital PR Awards are those organizations that took risks, made tremendous strides and understand the power of digital communications in public relations. 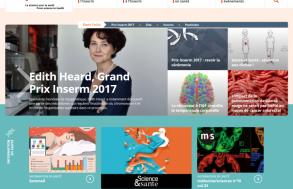 The Inserm press room, launched by the press service in collaboration with Newround professionals at the beginning of 2013, was created to give journalists easier access to the results of work conducted by Inserm’s researchers. This digital initiative was set up to meet their needs for information and is adapted to changing practices in an environment where social media, in particular, are being continuously developed. The press room is viewed by an average 21,500 users per month (single visitors), in France and abroad, which is raising Inserm’s international profile. The Inserm press service, part of Inserm’s Scientific Information and Communication Department (DISC), is honoured to see this honorable mention awarded to a French public institution. This contributes to rewarding the efforts made by Inserm to fulfil its role of bringing scientific information to a wide audience, particularly through the media. Created in 1964, the national institute for health and medical research (Inserm) is a public scientific and technological establishment, overseen jointly by the Ministry for Higher Education and Research and the Ministry of Health. 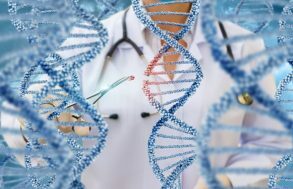 The researchers aim to study all diseases, from the commonest to the rarest, through their work in biological and medical or population health research. Inserm is celebrating its 50th anniversary in 2014.